Stolen Space Gallery are now exhibiting retrospective works by one of the most inspirational and respected graffiti artists of all time, Seen. Known as the ‘godfather of graffiti’ Seen showed in the UK for the fist time, exclusively at the Outside Institute. 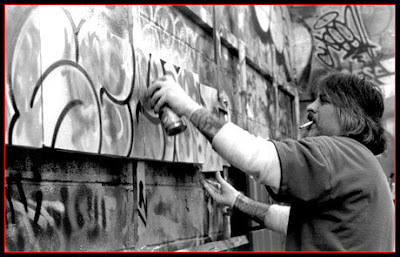 Bronx born Seen, part of the United Artists group, made his name as one of the most prolific graffiti artists of the New York subway cars in the late 70’s and early 80’s. He has mentored countless young protégé over many years, and continues to be hailed as a ‘King’ of the art form. Opening times: Thursdays 6pm - 9pm.... Friday, Saturday &; Sunday 11am - 6.30pm.... Monday to Thursday by appointment.